I purchased one of these 20w low/40w high H4 Cree bulbs. Plenty of suppliers. Very tight fit but all the parts fit with a bit of pushing. They key is to snap on the H4 alignment ring into the proper position on the LED light as they use different rings for different bulb housing bases. Push, twist and snap. Then this LED light fits into the lens housing holding the LED light oriented correctly. The tight confines makes for little room for the heat sink. 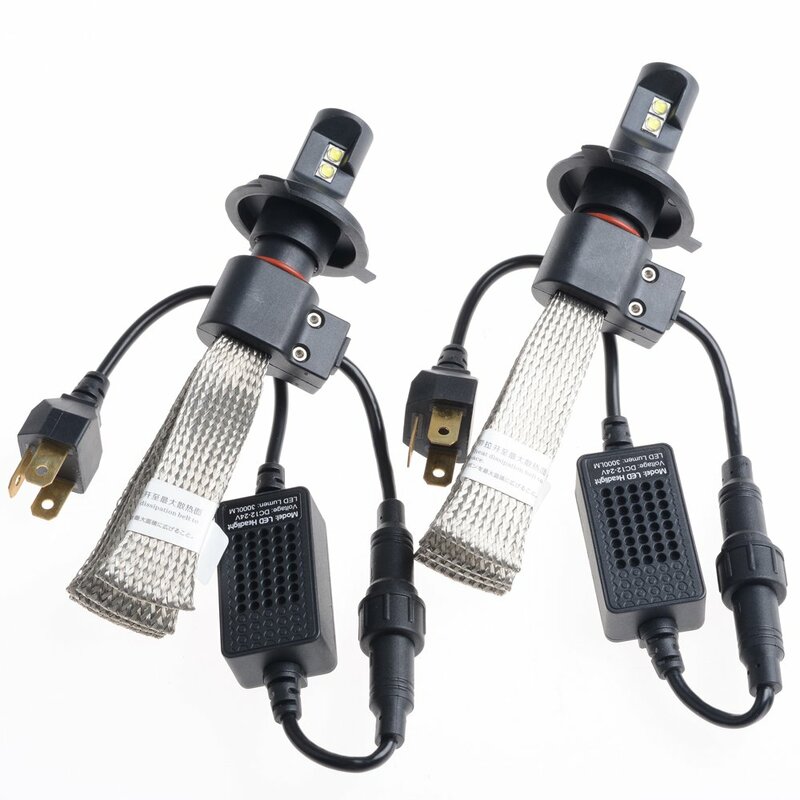 The 20w low beam must not create a lot of excess heat as after a 600 mile ride, in near 100 degree temperatures, the LED continues to function properly. Last edited by RSL; July 7th, 2015 at 03:37 AM. RSL, Thank you so much for the detailed post with all these photos. Extremely helpful regarding a number of very useful accessories/products!